If you're looking for a qualified expert tree surgeon in Horsham, you've come to the right place! We cover an area within about 20 miles of Horsham for all your tree care and maintenance requirements. Tree surgery is our life and we take huge pride in looking after and maintaining your precious trees to the highest standards. Perhaps you have problems with a diseased tree and need advice about what you can do, or maybe a tree is growing too large for your garden so needs to be pruned or even removed. Whatever your issue, we will work with you to find the best solution at a good price. We undertake tree felling, cutting, pruning and shaping, as well as hedge cutting and trimming. And we can do tree contract work for companies and local authorities. 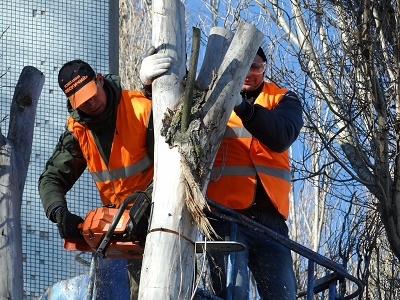 Tree surgery is a skilled profession so you should ensure that the arborist you hire is qualified and experienced in all areas of tree care. We'll be happy to visit your site to give free advice and discuss your requirements.